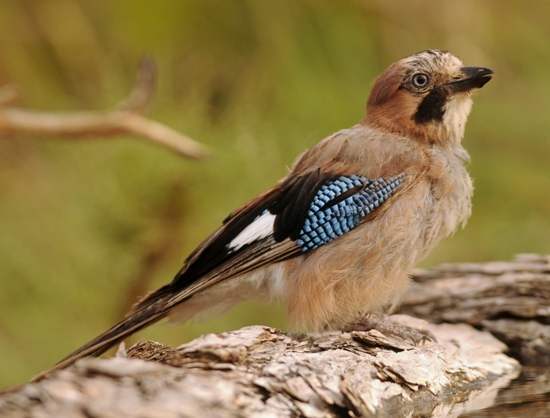 Jays, brightly coloured members of the crow family, are resident in Britain all the year round. 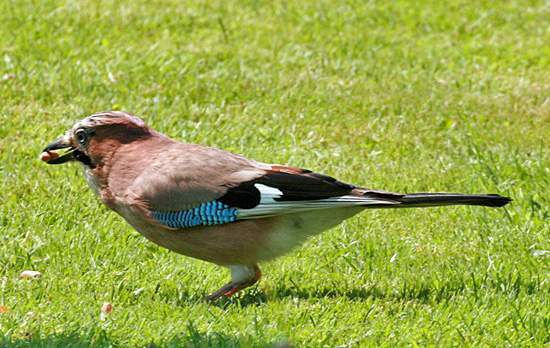 Male and female Jays are very similar in appearance; the barred blue wing feathers are a useful identifying feature. 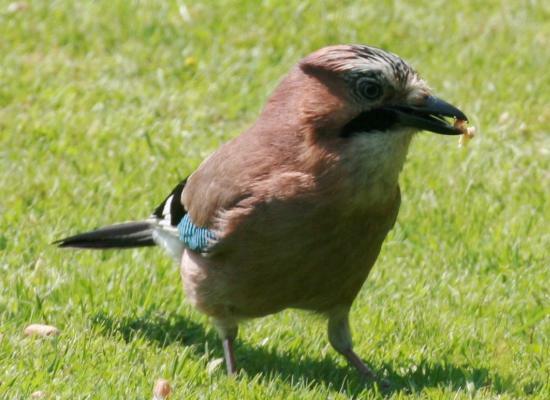 Usually skulking in trees, Jays will occasionally come down to the ground to feed in gardens. They are very shy birds, however, and soon head for cover if they see someone approaching. Nesting in bushes or small trees in early spring, Jays use sticks, grass and roots as building materials. A typical hatch is between five and seven; the eggs are pale green or buff with light brown speckles.